The European Nintendo Download Update is live, and it's a busy line-up this week. The Switch eShop gets seven new downloads along with a couple of discounts, while there's also DLC and new download options up for grabs across 3DS and Wii U. Add in the usual batch of discounts and some 3DS HOME Themes and there's a lot to get through - let's get started. 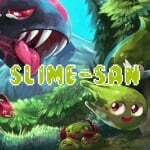 Slime-san (Fabraz, €11.99 / £10.00) - A stylish and potentially challenging platformer, with scope for customisation and switching up gameplay. Noteworthy features include unlockable multiplayer mini-games, a whole lot of single player levels, online leaderboards and additional modes. We'll bring you a review soon. 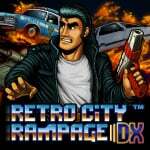 Retro City Rampage DX (Vblank Entertainment, €14.99 / £12.99) - A title that arrived in its original form on WiiWare and then in this DX iteration on 3DS, we now have the latest version for Switch. It's the same excellent game many know, with the option to play the original or DX campaign and also try out various graphical styles and filters. We'll see whether this is the ultimate rampage in a review. Aero Fighters 2 (HAMSTER, €6.99 / £6.29) - The steady roll-out of ACA Neo Geo titles continues. While this shmup contains plenty of outlandish bosses and enemies, all of the player-controlled planes are based on real-life jets, such as the F-14 Tomcat, F-15 Strike Eagle and Northrop YF-23. The pilots are totally bonkers, though - one of them is a dolphin. Strikers 1945 (Zerodiv, €6.99 / £5.99) - A surprise re-release of an arcade game, this is a vertically-scrolling shooter from 1995 which features classic WW2 planes facing off against a host of enemies - including transforming battle engines. 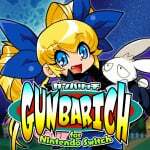 Gunbarich (Zerodiv, €6.99 / £5.99) - Another former Psikyo arcade, this was a more recent release originally launched in 2001. It mixes puzzle and shooting elements. Puzzle Adventure Blockle (INTENSE, €6.29 / £5.99) - A colourful puzzle game in which you rotate stages to clear challenges across seven worlds. It's aesthetic is certainly bright, and it cites accessibility as a key selling point; we'll give it a spin for a review. 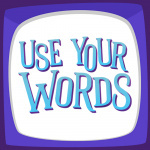 Use Your Words (Smiling Buddha Games, €13.09 / £11.79) - This is a collection of four adult-centric minigames (though there is a 'family filter') that, rather like The Jackbox Party Pack 3, utilises phones and tablets as controllers. It's all about multiplayer and others can apparently stream and watch games in action, so the idea sounds promising; we'll see whether the execution delivers. Flight of Light (Crystalline Green, €8.00 / £7.00) - From a developer with multiple Wii U projects in their background, this is a rhythm music game with nine worlds to tackle, co-op and competitive multiplayer modes amd a soundtrack of unique music. 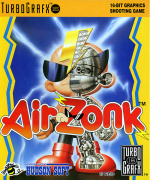 Air Zonk (Konami, €5.99 / £5.39) - A fresh Wii U arrival from the TG-16, this is a "horizontally scrolling shoot-em-up with the cuteness factor cranked up to 10". You can go fully retro with our Wii Virtual Console review if you like. 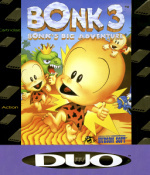 Bonk 3: Bonk's Big Adventure (Konami, €5.99 / £5.39) - The Virtual Console continues to live on with what was the final entry in the original Bonk trilogy. A colourful and fun platformer, in our Wii Virtual Console review we have plenty of praise for this one. There are also a few new My Nintendo offerings, which we'll cover separately. Lots to choose from this time around - let us know what you'll be downloading in the poll and comments below. Defintly getting the Shovle Knight DLC when i get home. Just the free DLC for me I think. Maybe get Tumbleweed too, but I hear it's very difficult. Still unsure. 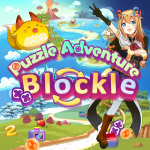 Puzzle Adventure Blockle looks nice I'll try that I think. I'll download Blaster Master Zero too because of the Shovel Knight DLC. Strikers 1945 was on sale in the Jpn eshop so I picked it up. Really loving how easy region free is on the switch. Although I'm spending way more money. Naturally the BMZ DLC. After that, not sure. I'd have been all over that I Am Setsuna discount about two months ago. Now, I already don't have enough time to play what I already own. Definitely going for the SHMUPS ! The free DLC is a given. 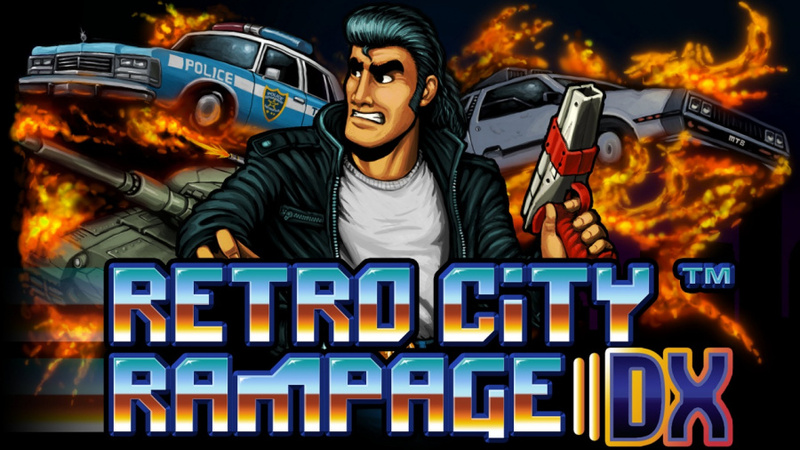 The news thingy on the switch calls RetroCity a "remastered version", sooo, whats different about it ? TumbleSeed might be worth a look, still super on the fence about I am Setsuna. 27€ still feels a bit much for what it has to offer (which is monotonous music, a bland setting, "not quite but close" Chrono Trigger gameplay and basically no replay value). Did anyone ever try Grand Prix Rock 'n Racing? Both classic shm'ups and the free DLC for the Switch. "it's a busy line-up this week"
Then why is your header image a port of a 5+ years old game? Too many games I'm interested in. Too many. @Sinton it's rubbish, don't buy it. 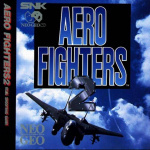 Question for those in the know: If I were to get only one Neo Geo Aero Fighters game...2 or 3? @Moon They just released a big new game mode & game balance patch for Tumbleseed that apparently addresses most of difficulty/design issues. I've yet to try it out, though. Shovel Knight DLC, and Use Your Words if it gets a hearty NL recommendation. Still happily married to Splatoon to play something else. Also gotta finish Tooie, that I played during my Internet-free week as my router was dead. I'm interested in multiple games but I've bought so many games in such a small time period that I must resist the urge to buy more for a while. I can play Splatoon 2 every day for months without getting bored so that will do fine. That said, the next game I'm planning to get is Mario+Rabbids. @Mahe just to give you something to snipe about, they're good like that. Gotta keep the moaners... 'happy'? More Arcade and Shmups! Didn't know Aero Fighters was coming out along with Strikers. Awesome. 2 is mostly prefered over 3, but 3 isn't a bad game at all. 3 just feels a little bit different. @BonafideInfidel Oh nice. That makes it all the more tempting. Thanks for letting me know. 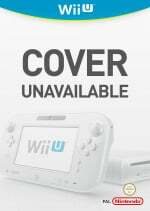 I wish we could get some Home themes for the Switch. The black or white theme are boring. @TossedLlama Cheers. Seems like you can't go wrong with either, but like with KoF '98 and Samurai Shodown 2, there's a popular consensus as to which is best. I still like to try old games that are new to me, but I'm trying to be more selective than I was during the Wii years. I was only planning on getting Blockle and the free BMZ dlc this week but I have always said that I would get Setsuna when it goes on sale for £20, the Gunbarich game looks different and interesting, and Tumbleseed enters impulse buy zone at £8. The eshop for August is off to a bang and the next two weeks have some great games coming as well. This is going to be an expensive month. The snowy theme gets pretty tiring after a while. The real killer though is the lack replay value and its (relatively) short play time of approx. 20 hours. There are several other JRPGs i could get for the initial 40 bucks price tag that offer that and then some. So yeah, even for 27€, im on the fence. Why does the picture of a port mean it isn't a busy week? Could you please explain how you've connected two things that aren't relevant to each other. I will accept the honest answer of "I just absolutely have to find something to whine about no matter how ridiculous". Think I'll get Retro City. I got it through the humble bundle last time but haven't played it much so think I'll support the Devs. Slime-San has a Metascore of 78 bit I'm not keen on the aesthetic and a couple of reviews mention slight control issues which puts me off. Waiting for reviews of Strikers 1945 but very tempted. A shmup would fit a nice spot in my library and having TATE mode is a plus. Thing is, I have such a backlog-and haven't even bought Shantae, Implosion and Bulb Boy yet-it's time to get choosier. Fans of Setsuna-any point if you're not a JRPG fan? Is it just one for fans of the genre? no, you can't go wrong. 3 tho, looking into it more, had short levels and too many bosses. I do remember it being a back to back boss thing being repetitive. 2 is very well balanced. Might finally be the right time for me to pick up I am Setsuna. Been interested in it for a while, but not for it's initial price, at least not digital. Seems a lot more tempting now. @electrolite77 I'm not an RPG fan at all, but I loved Setsuna. It's shorter and more linear than other games in the genre, which to me is a good thing...and I love the Chrono Trigger-esque combat (another one of the few RPGs I enjoy). One of my favorite games on the Switch! Am really interested in slime-sans not only has it got loads of levels and unlockables but i love 2 player mini games you can unlock! They look really cool! Am on fence about tumble seed even though ive saw post for new update. Did download free dlc BMZ though! @electrolite77 A quick comment on Strikers 1945 — unlike ACA games, it has no online leaderboards or challenge mode that I can tell. The former in particular is a bummer in my eyes. Luckily, my most anticipated ACA release, KOF 2000 is due out next week! FAO anyone interested in Strikers. It's currently on offer on the Japanese eshop for 500 yen. I bought a 500 yen card off Amazon.co.jp and it cost me £3.42. @electrolite77 Look at the poll results. The number 1 choice is once again "Nothing for me this week". The number 2 choice is a piece of DLC that is free for owners of the game. And then there's the fact that NL didn't have anything better for the header image. A game described like this: "arrived on WiiWare and 3DS... It's the same game..."
So either don't hype up a poor week or show up something better for it. Do you even know what busy means? It's not a comment on quality. Though as far as quality goes, 50% of respondents are downloading a Switch game. Most of the 23% who haven't got anything to buy will be 3DS owners. @Tate24 tumbleseed is my second fav switch game to breath of the wild- been playing it constantly since release. @darthstuey just bought it. My heart was in my mouth trying move around all them pitfalls! XD just unlock 3rd mountain! But am just trying to complete quests on second mountain before i move on. I want all them aura powers! Dont know if you will be interested but you should checkout there blog its actually quite interesting read. 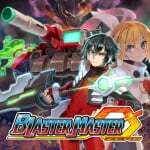 Someone on this site said you could download the Blaster master zero dlc before the actual game but this isn't possible on the 3DS, sadly. @Tate24 just read it. Thanks for the heads up. NL clearly chose the wrong picture for the header image, it should have been Strikers 1945. That would have nicely expressed the common themes of "Vertical Shmups" (Strikers 1945 & Aero Fighters 2) and "Psikyo Revival" (Strikers 1945 and Gunbarich). These releases are a lot more relevant then a lot of people here seem to realize. If the right Psikyo shmups follow (the famous Gunbird 2 and Zero Gunner 2, the great Strikers 1999 wich previously didn't get a console release), this could actually attract the shmup enthusiast crowd to the Switch which is currently migrating from the 360 to the PS4 (because of Battle Garegga, Dariusburst CS, Caladrius and Raiden V Director's Cut). And if that crowd gathers around the Swich, more shmups will follow, maybe even including Cave's (Ketsui, Dodonpachi, Death Smiles). This isn't just the release of a few random old games, this could be the beginning of something great.